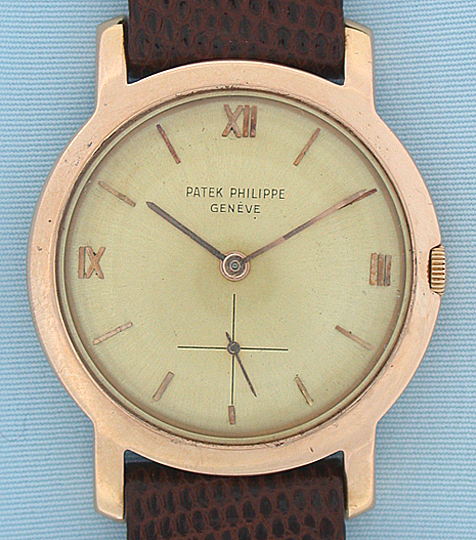 Patek Philippe 18K red gold reference 2605/1 vintage wrist watch circa 1952. 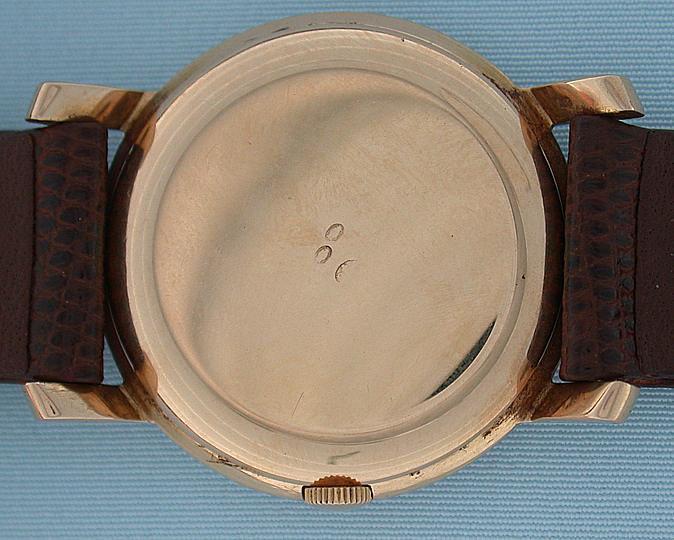 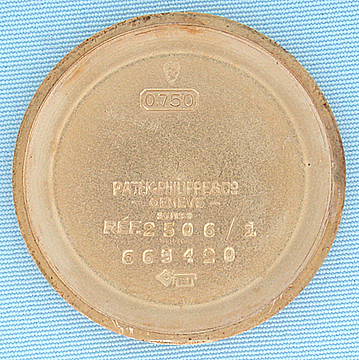 Textured gold dial (perhaps re-gilt) with applied gold numerals. 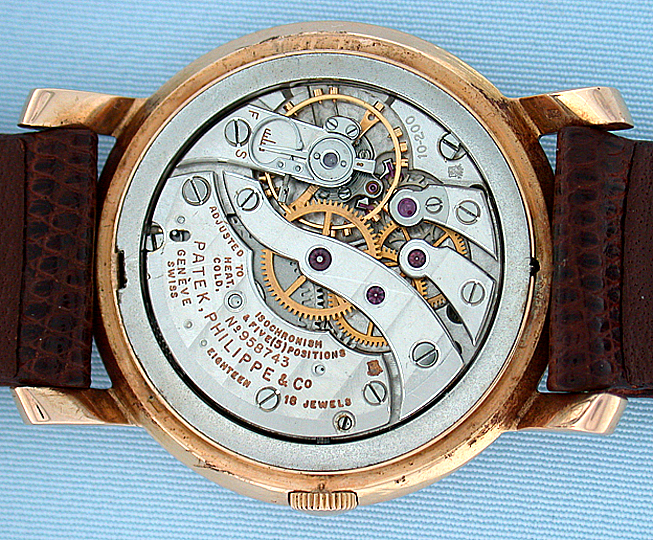 Calibre 10-200 18 jewel 8 adjustment movement with scratch.